The progressive dilemma: Is there a route back to power? Progressive politics, that is the centre-left in British politics, is currently at its lowest ebb for several decades. For many, the outlook feels uncertain, if not bleak. It is wrong however to look to Corbyn’s surprise rise last year as a singular moment of defeat. The truth is progressive politics has been in decline for some time. First, Cameron’s victory over Brown in 2010, following the crash of 2008, brought a formal end to the New Labour era. Failing to win that election outright, the Conservative’s real victory, however, has been in its sustained and devastating assault on Labour’s claim to economic competence, something fundamental to Blair and Brown’s success. Under fire, Labour’s progressives have too readily accepted this negative re-telling of their legacy. Second, the SNP’s victory over progressives in Scotland, first gaining control of the Scottish Parliament in 2007 and then all but wiping out the other parties north of the border at the 2015 General Election. If there had ever been a warning sign for progressives that there was trouble afoot, the appetite for change (disguised as nationalism) that lay behind the rise of the SNP was it. It could be argued that Salmond/Sturgeon have already pulled off the shift to the left in Scottish politics that Corbyn now seeks to achieve for Labour. Third, the near destruction of the Liberal Democrats (the other progressive party) last year. In practice, their support and local government powerbase had been in terminal decline every year since the party entered coalition and were unable to deliver the “change” they had promised. But the 2015 General Election wrenched the party of the “liberal centre” from a position of real power, and left them to a harsh fight for their very survival. Fourth, Corbyn’s rise to the leadership of the Labour Party and determination to reclaim the party for socialism. Many progressive Labour MPs remain in parliament, but they are by and large now excluded from the front bench, increasingly alienated by the direction of policy travel and effectively powerless in the context of Corbyn’s strong grassroots mandate and support. Moving forward, the defenestrated progressives on the backbenches of the Labour Party and in the Liberal Democrat rump now face remarkably similar and equally fundamental existential challenges. To the individuals concerned, their fall from grace has come as a real shock and there seems to be a real struggle in both parties to identify a clear route back to power. Asides from division – between two parties, due to minor policy differences, as a result of personal rivalries, and due to the political necessity of party loyalty in our electoral system that is preventing otherwise natural breakaway or mergers, the key reason behind this is one of substance. Fundamentally, just as Blair embraced the market economic defined legacy of Thatcher, Cameron has arguably embraced the loosely defined social and public service reform agenda of New Labour, in effect stealing the progressive’s clothes and raison d’être. Driven by a mixture of pragmatism, a genuine shift away from social conservatism, the real and lasting impact of coalition with a genuinely progressive party, and the existence of some powerful voices for radical reform, particularly to education and welfare, the Conservatives have to a large extent been able to offer the public evolutionary continuity rather than radical change from the Blair/Brown era. This is further complicated by progressive recognition of the broad necessity of Conservative fiscal policy – now the key dividing line on the left. Progressives, both Labour and Liberal Democrat, have been inclined to accept the need for balanced budgets and therefore continued cuts to public expenditure (albeit with significant differences of opinion about where the cuts should fall, the role of government capital investment, and the need for some tax increases to spread the burden more fairly). For those on the resurgent left (Corbyn et al and the SNP) this simply equates to being “Tory lite”. What was clearly lacking in the Labour leadership contest, and remains elusive, is a clear progressive alternative platform for government. And with limited scope for a coup within the Labour Party and with more than four years until the next General Election, developing one must become focal if they are to ever stand a chance of regaining the initiative and returning to power. There is plenty of scope for new thinking. On multinational taxation, on infrastructure investment, on housing and on the environment the Tories are weak and open to challenge. There is also a clear need for a new public service reform agenda centred on the integration of services to meet the ever complex needs of individuals. In the short term, the European referendum should provide a rousing and unifying cause for progressives to work for, allowing the building of relationships and establishment of new voices. 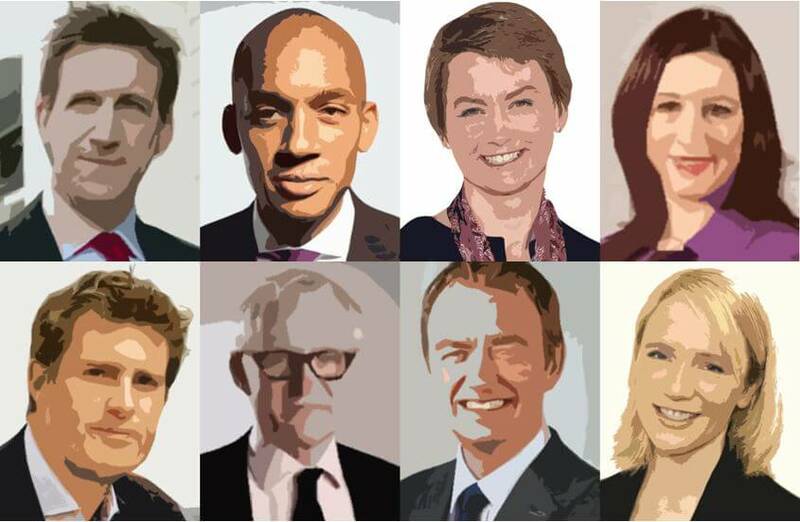 Ultimately whether British progressives unite in common cause SDP style, or continue to develop distinct social democratic and liberal paths in parallel, will largely be determined by whether Lib Dem electoral fortunes improve independently and how long Corbyn remains in power. In the 1990s the Lib Dem and Labour electoral fortunes were linked, and in the future political landscape progressive interests may need to align more deeply to pave a new path back to power. But the key to this is new thinking and progressives must take the opportunity of their new found freedom to get on with it.